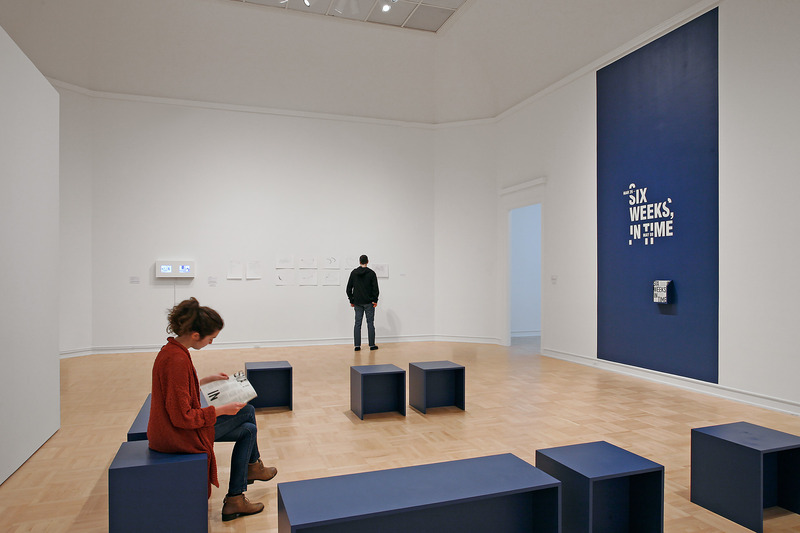 As part of the exhibition Six Weeks, in Time, Lisa Radon performs a reading inside her installation Zero Day. Both the reading and the installation speculate on the possibilities of operating on and within systems, including systems for marking time. Her words and objects are tools that create a container to question the nature of the infinite and the place of human activity within the geometry of the cosmos. Lisa Radon (U.S., born 1966), is based in Portland, OR and makes poems that may be in the form of publication, object, essay, installation, website, or performance. Her recent books include Blind Remembrance of the Swirling Bone (Artspeak/Ditch Projects, 2016), Infinity Increaser (PICA, 2015), The Plumb and the Wave (Pied-à-terre, 2014), and Prototyping Eutopias (2013). In 2015, she presented solo exhibitions at Ditch Projects, Springfield, OR and Artspeak in Vancouver, BC. Radon publishes the journal EIGHTS. Read Radon's poem Exploit (Mundus Imaginalis), which she wrote while developing the ideas for her installation at the Henry, here. Free with museum admission. This performance has a limited capacity, please reserve a ticket.